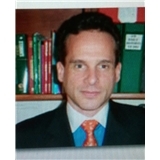 Dr. William Rappaport (New York) - Book Appointment Online! Allergy, asthma ,immunology care of all ages General pediatrics. For new allergy patient please note you must be off any antihistamine 7 days prior to an appointment to be tested. Wow got seen right away, the Doctor and staff were super nice and patient with all my questions and concerns regarding my 2 year old.